During our last trip to White Wash Sand Dunes we were having a bit of a struggle trying to plan a ride with our new side by side while not just doing the same old stuff again. We wanted a trail that would have some change in terrain while not being too difficult, not too short and not too long. We also wanted to have some kind of destination, something to see and give us a chance to stretch our legs and have a change of pace during the ride. 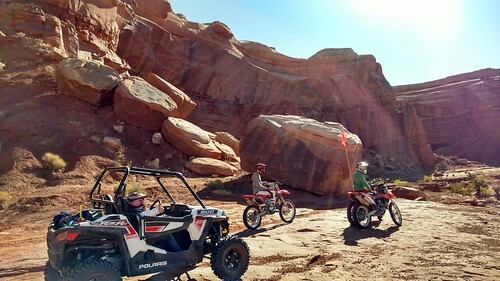 I started thinking back to areas in Moab from our rockcrawling days that would be close enough to camp to make a ride without taking extra fuel. We wanted to go in the Spring Canyon area, but we were afraid of going too far with the limited fuel we had for bikes and we didn't want to take the entire day. The ride to Dellenbaugh Tunnel from White Wash turned out to be just the ticket. The round trip is just under 40 miles and we were able to finish by early afternoon while not having to leave too early and taking our time along the way. 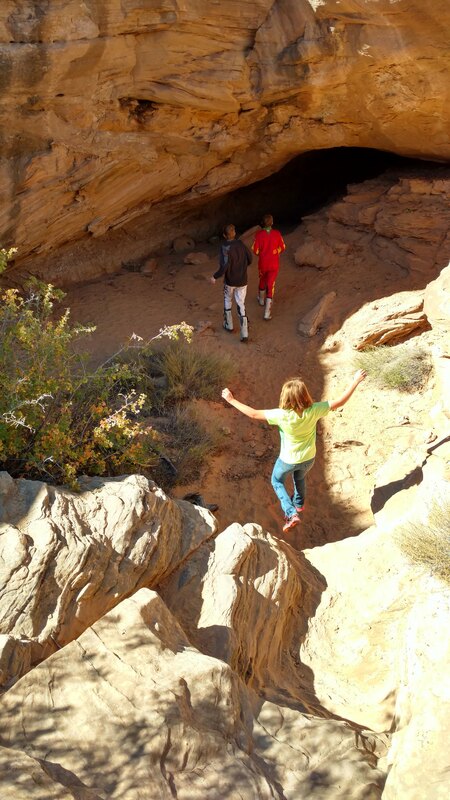 There are a couple places to stop that are worthwhile including Tombstone Rock, Dellenbaugh Tunnel, and an elevated slot feature that kids love to drop into and look off the edge. Secret Spire is also in the area and would make for another good side trip. We stopped at a spire that resembled secret spire that is very near the Tunnel by taking a short turn out of the wash(see map). I'm sure there are many other scenic stops that could be done besides these, but these are the ones we did on this trip. 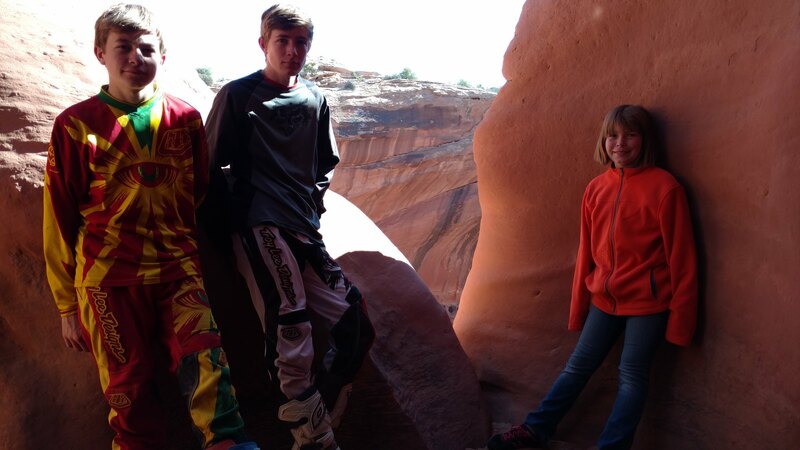 There is a short hiking trail at the Dellenbaugh Tunnel trail head that we opted not to do because 3 of us only had moto boots that make walking on slickrock difficult. It looks like it would be a fun trail to hike on. The cave is a short distance to the left and the hiking trail spurs to the right. There is a trail marker with distances near the parking area to the tunnel.